The Portable Document Format (PDF) is perhaps the official documentation format of written content. Due to the increase in their utilization, the need for online PDF markup keeps changing with the day’s requirements. Instead of first printing out a document so that you can highlight or make comments to your recipients, these tools help you edit the files online. For instance, if someone sends you a document that requires your comments, markups are a perfect option. Recently, these tools are including other features, in addition to text markups. It is possible to create illustrations and supported images to the respective files, making it more convenient. For students, you can use online PDF markup tool and highlight the important points in a text, for ease of revision. If you want to markup PDF on desktop, please try PDFelement Pro. It is among the common tools you can use to markup PDF online. 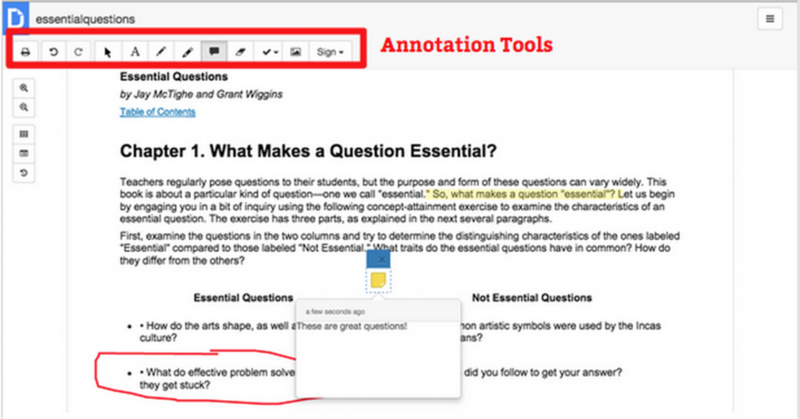 The features allow users to highlight sections of texts, add texts, sticky notes or boxes as well as add links to other sites. The customization options include colors for highlighting and the font aspects such as size and presentation. You can also bookmark texts using the tool. This online tool allows users to create a workspace for ease of management. For markups, you can upload files and texts, which are converted to PDF, ready for annotation. Users can include freehand marks for note attachments as well as use boxes, arrows or circles to markup images. It includes strikethroughs and insertions for text annotation. 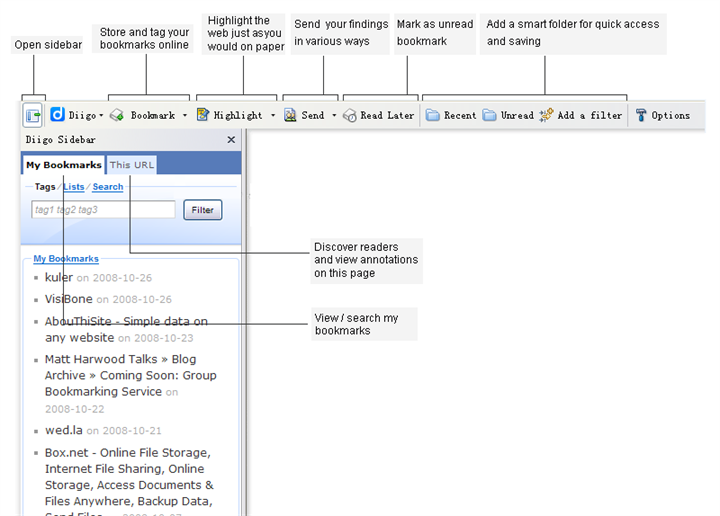 The "Organize" and "Collaborate" tabs promote ease of management of the documents. 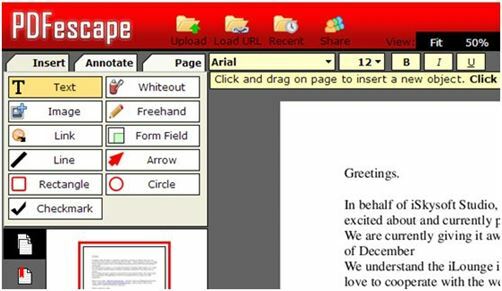 For this PDF markup online tool, it uses the Insert, Annotate and Page tabs, as the functional features. In matters customization, text and freehand drawings, highlighter color and size, page layout adjustments are among the results of the tabs, respectively. Users can start with a blank, an upload, a download from a link or even an existing file. You can also encrypt the new PDF file, print directly from the browser or even share using the links provided. 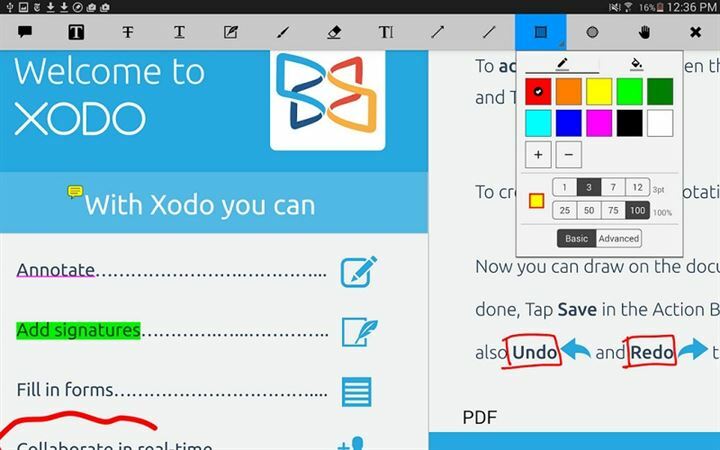 Xodo is a simple free online PDF markup tool, with great User Interface and Experience. In addition to the basic annotation options, users can include signatures and geometric shapes in the text. It also allows collaboration with other online users, either for collective markups or for just observing other annotators. It is useful for document management through these workspaces created, especially that no signups are required. This tool allows for uploading of multiple files for markups as well as adding tags on texts. Users can opt to show notes on either side of the PDF, as head or footnotes, hide or show notes on texts. An export feature is available in case you want to save the file on your device. For web contents, the tool utilizes the Snapchat format. 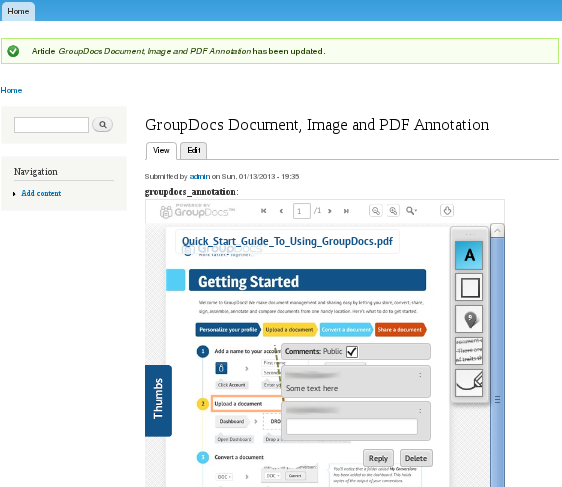 GroupDocs is a tool that serves to access, compare, markup, sign and convert documents. It supports specifications in Cloud, Java and .NET file formats. 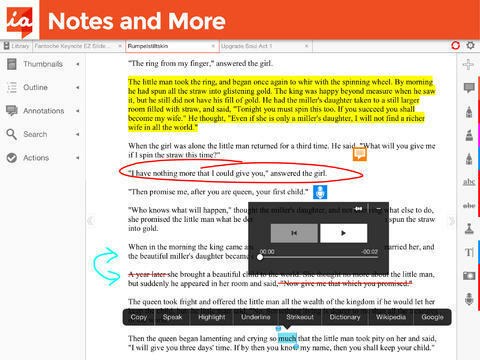 Using the features, you can highlight and create notes on phrases in any PDF file. Customization features including color intensities, font sizes and extent of text alterations that you want in the particular text. This PDF markup online tool includes features such as pen markups, sticky notes, label highlighters and plain highlighters. The free plan limits users to ten annotation files per month, although the features and collaboration viewers remain unlimited. Customization of the highlighter colors gives the user four different options. In case of collaboration, it allows for simultaneous access of a document to users who have signed up to your workspace. The tool also supports web content and sharing of PDF files through links. Using this markup tool, users can add text, notes or comments, highlight and insert freehand drawings and strikeouts, free. For clarification purposes, the comment options are text, point or point, depending on the details at hand. Users can customize the colors and the drawing tools. In matters sharing, CrocoDoc enables creation of links to blogs and sites, saving of document and sharing through emails. 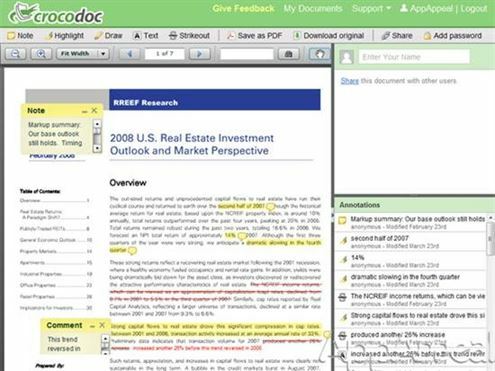 For users who want to markup PDF online using the basic tools such as floating notes and bookmarks, Diigo is the best tool. 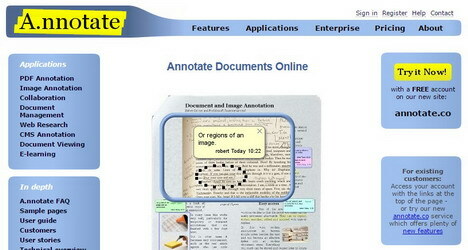 The annotation features become active after uploading a PDF file onto the platform. With the float notes, you can make comments anywhere on the file. The features enable markups for TXT and image files, in addition to sharing the documents through email and social media platforms. DocHub presents a PDF management tool through choosing who should view what document. The features enable users to digitally stamp and sign the files, in addition to basic annotation features. You can share the files through social media or access the files from Gmail, Dropbox and Google Drive. Users can engage either public or private access of the subject PDF files. In the case of online PDF markups for desktops, PDFelement ProPDFelement Pro takes the peak of the best tools. This tool allows users to create a new PDF and annotate the contents. At just $99.95, one can purchase the tool from PDFelement Pro, install and activate it, then use it to edit PDF files. Pre-designed Templates. They Enable creating and filling up of PDF forms with ease. Users can create files from WebPages, text files or even from images. OCR Cracker. This PDF Markup tool enables users to modify scanned documents, including those secured with the OCR technology. Users can insert or delete texts and images from these files. Document Merger. 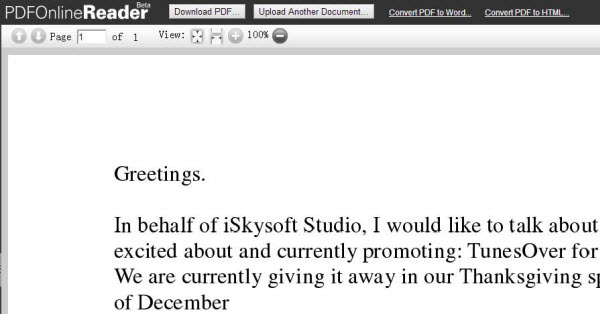 This feature enables users to create one PDF file form combining a number of annotated files. A conversion tool is available for Excel, PowerPoint and other text formats. Customization Features. Users can add Passwords, signatures, stamps and hyperlinks to the annotated documents.